This Personalised Twinkle Boys White Keepsake Box will make a lovely gift for a new born. 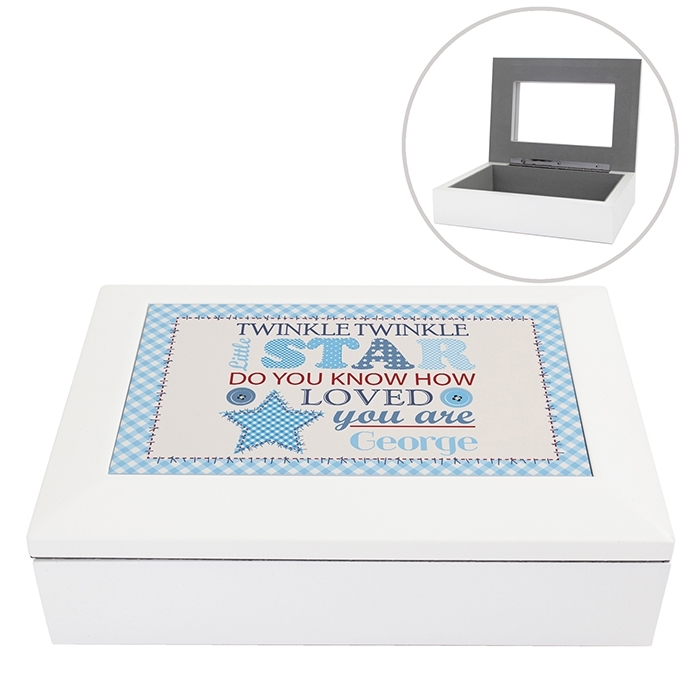 A wooden keepsake box that features a large compartment inside, with a mirror on the lid making it ideal for storing precious memories. 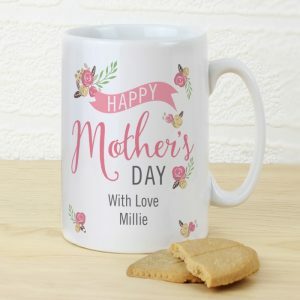 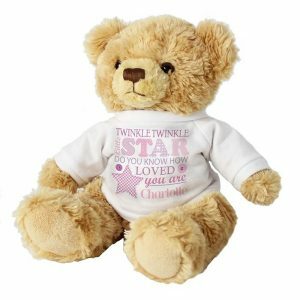 The super cute wording ‘Twinkle twinkle little star do you know how loved you are’ already features all we need from you is the child’s name (in lowercase) to complete the gift. 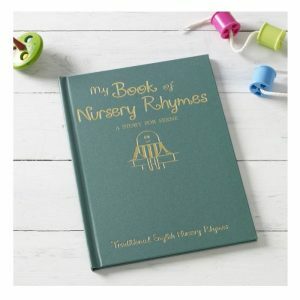 A fantastic first gift for a baby boy that will show how much he’s loved, and one that will be filled in no time with memories. 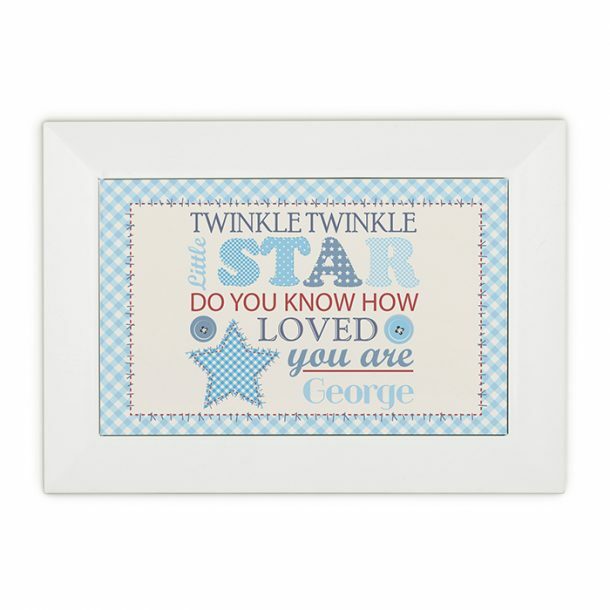 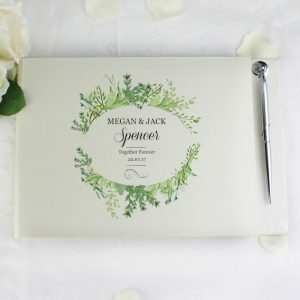 This personalised keepsake box is perfect for a Christening or first Birthday gift.